Nobody understands (other than science teachers!) why teaching science is so hard. When it works, of course, teaching science is incredibly rewarding. Science lessons are complex. We are teachers of language, maths, literacy, practical skills, health and safety and scientific knowledge. We must also remedy deeply held misconceptions. Students are asked to think about the abstract world and suspend many of their logical beliefs. Successful science lessons therefore require careful planning to ensure learning does not result in a cognitive mess. It is important that science lessons have a narrative. The lesson needs a story or context so the rationale for learning is meaningful and clear. If a lesson becomes a series of DO NOWs, worksheets and plenaries, students will be unable to see the bigger picture. When they get stuck they will be unable to find their way out. There are many ways to plan a science lesson but the example below may be useful if you are looking for a starting point. You can then adapt this model as you see fit. 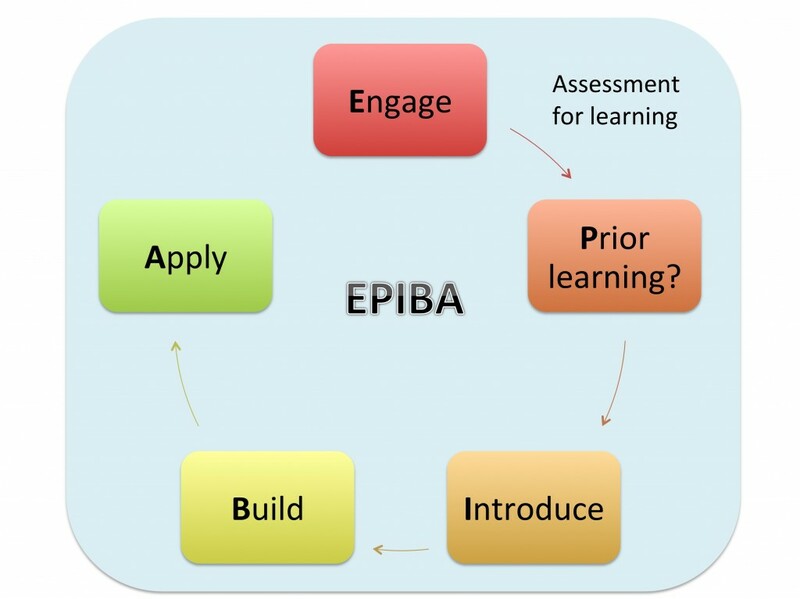 Many of the ideas within EPIBA were born from fruitful discussions with Jill White. See our page on whole-class practicals for further information on how to plan and manage great practical work.